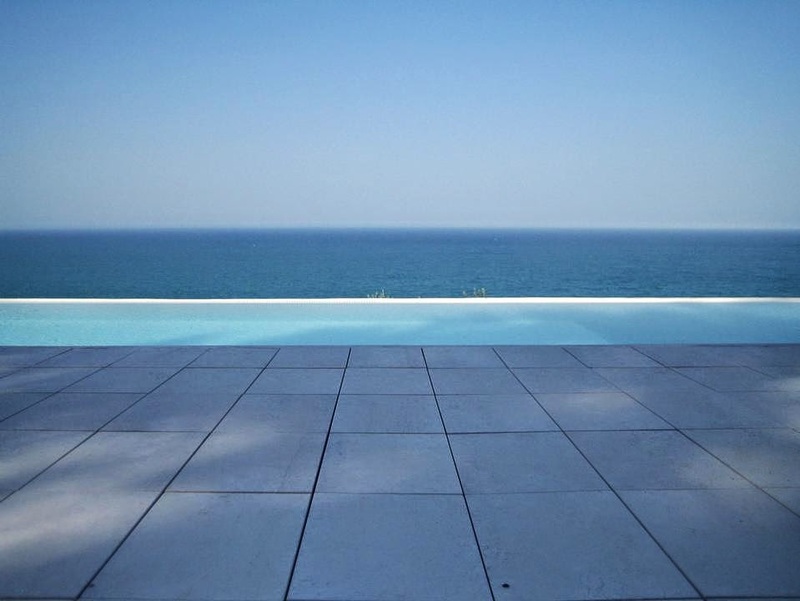 Located in Riparo Bardella di Ortona (Chieti), this magnificent single-family residence by architect Lúcio Rosato sits parallel to the sea, enjoying distant views towards the horizon. 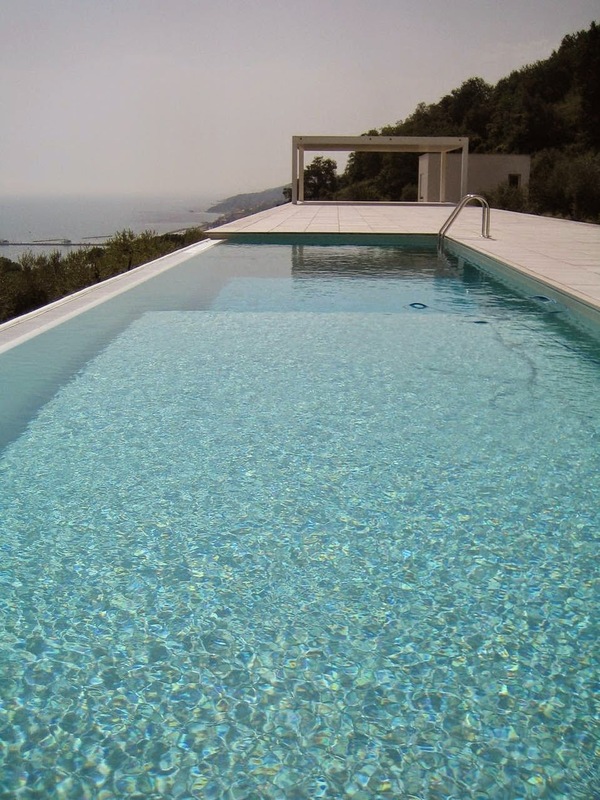 A rhythmic sequence of voids and minimalist, monolithic built components blends into the landscape, as it was part of it, surrounded by mediterranean vegetation and completed with a rectilinear swimming pool. 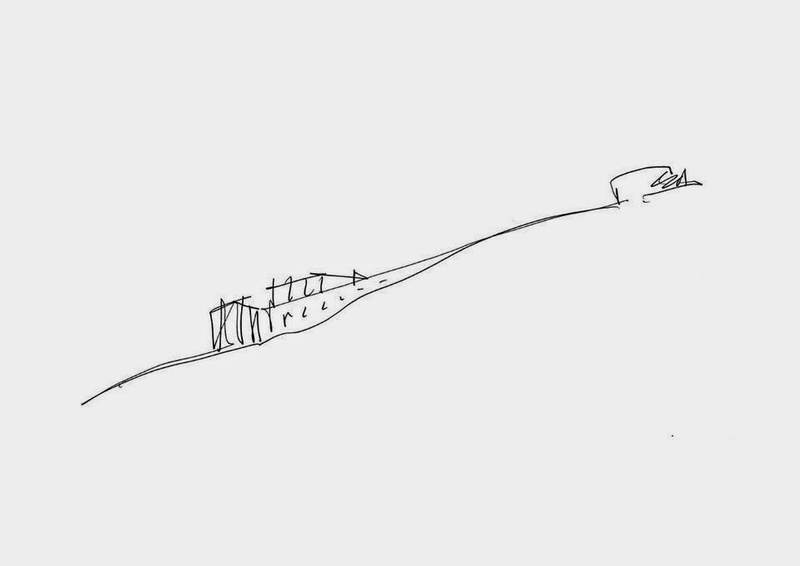 The house overlooking the sea creates a path resting on a slope parallel to the coastline by means of a rhythmic sequence of empty spaces and built elements. 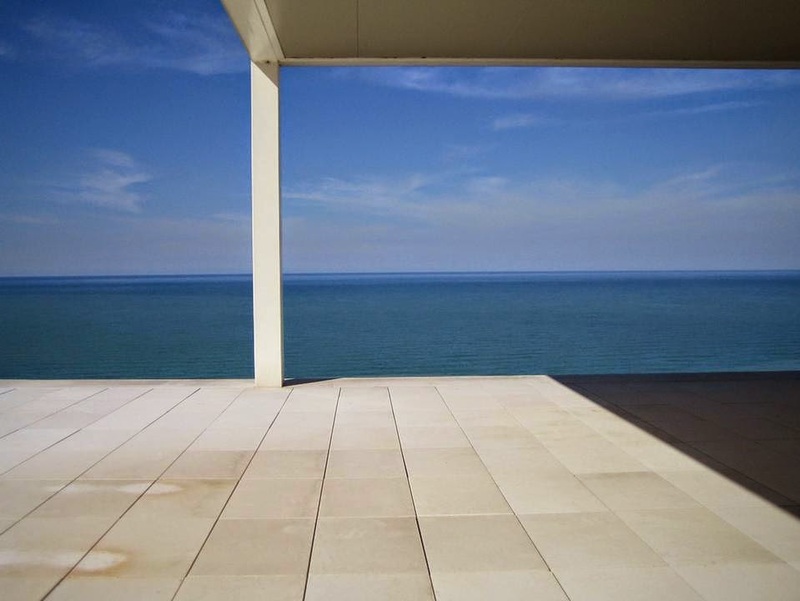 The house, situated high above the sea, opens itself lightly to the coastal breezes, nestling itself into the landscape, building a new prospective towards the horizon far away. The house emerges from the earth yet, at the same time, seems to bury itself within searching for an area of temporary determination. 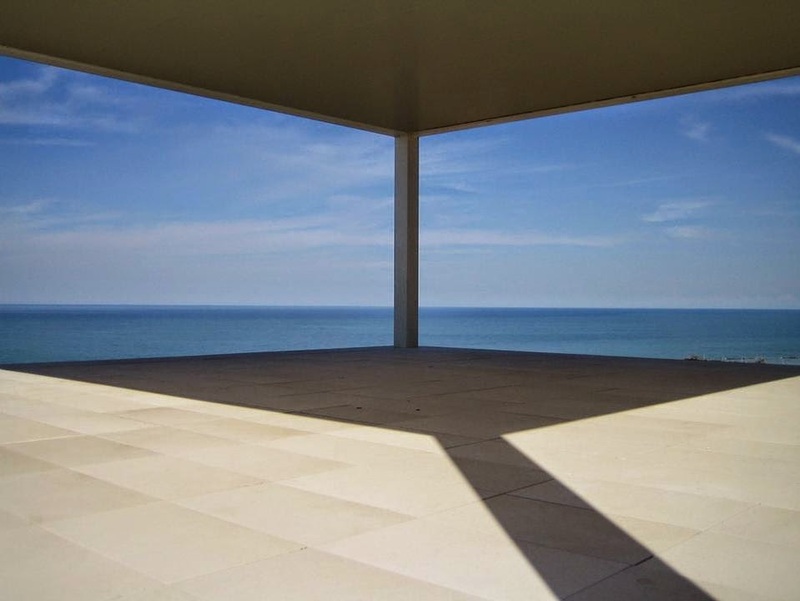 Thus the project is part of the genis loci, part of the landscape, as though its vanishing points had shaped its design. 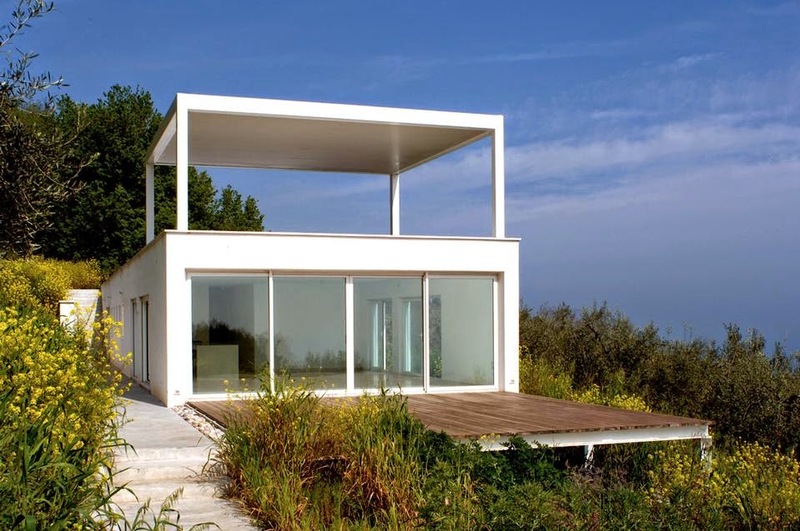 The manor house occupies the lower part of the monolithic block, but the real life of the house is on the roof, a ship's deck, where the long swimming pool is immersed in white stone from which emerges the white, steel loggia, the crow's nest; its lightness is balanced, to the south, by the solid, white cube of the guest-house. 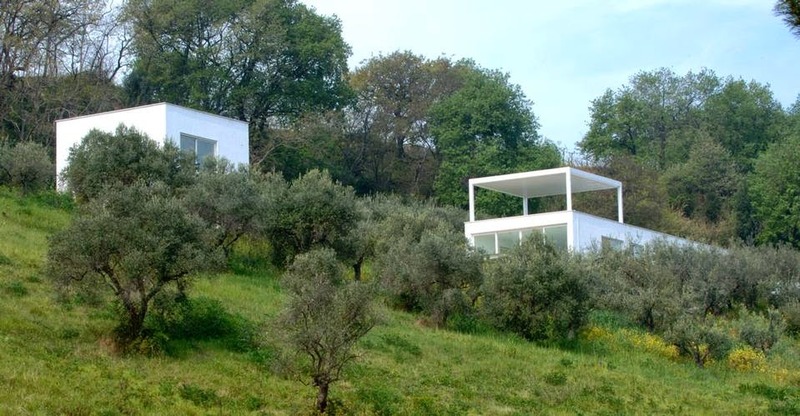 If the natural configuration of the land is preserved, as well as the variegated, spontaneous Mediterranean vegetation, marked by rows of old olive trees - random harmony - the project tries to be a sign of natural artifice.